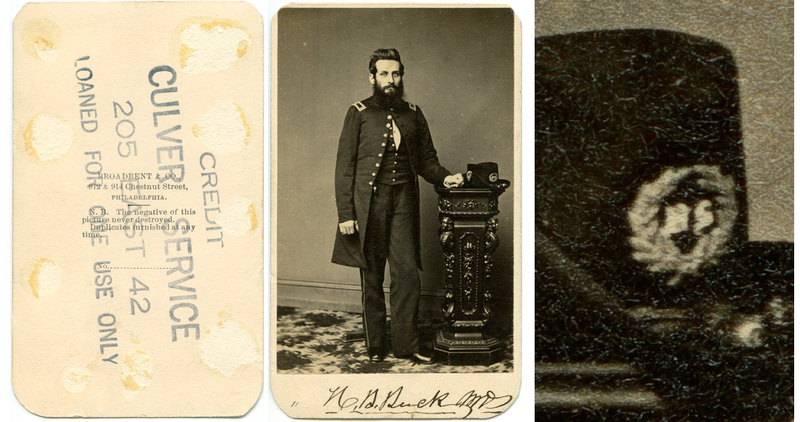 A new acquisition to the CDV collection – another Civil War soldier (definitely Union this time!) complete with sword, cap, and patriotic studio backdrop. 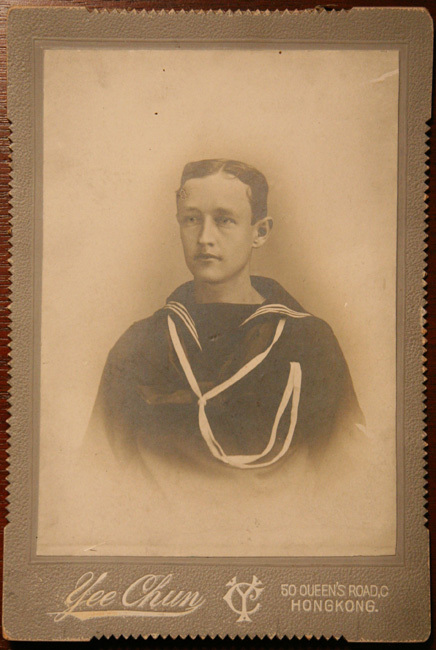 The sword, his youth, and the overall style of his uniform suggest to me junior grade officer. Some non-commissioned officers did carry swords, particularly in the cavalry and artillery, but they would have had rank insignia on their sleeves. This is the first soldier portrait from the period that I have which has a patriotic battle-themed background (notice the cannon to his right just above the table, along with the field tents and flag). 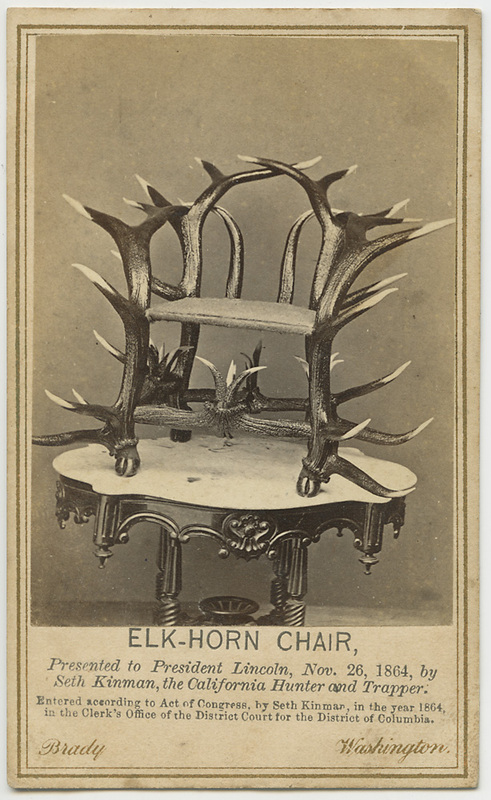 This was a popular thing to do during the Civil War for soldiers. 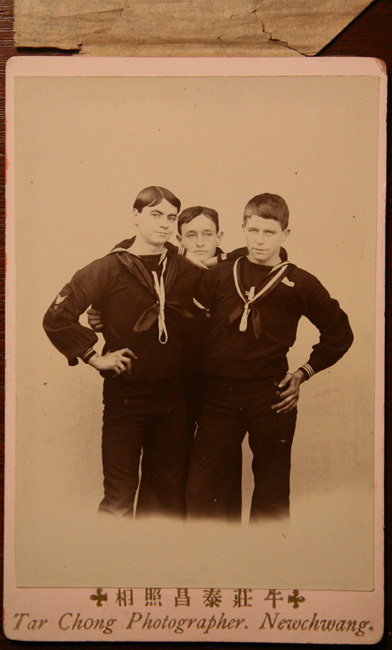 Many itinerant photographers had backdrops painted to depict scenes of camp life in front of which they would pose the soldiers. 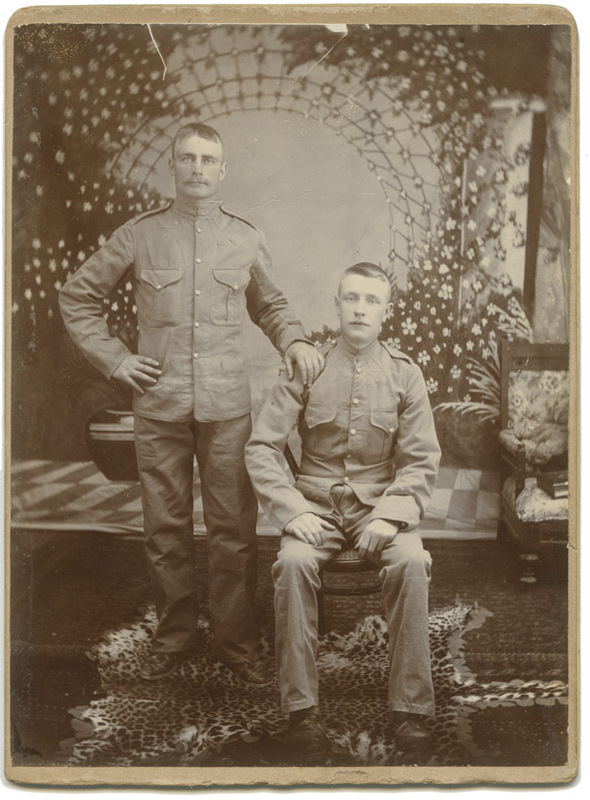 These backdrops served as positive propaganda back home, as it gave the soldiers’ loved ones a sense of normalcy to the life of their son/brother/husband/father. This one was done in a proper studio in Washington DC, just a few doors down the street from Matthew Brady’s parlor. 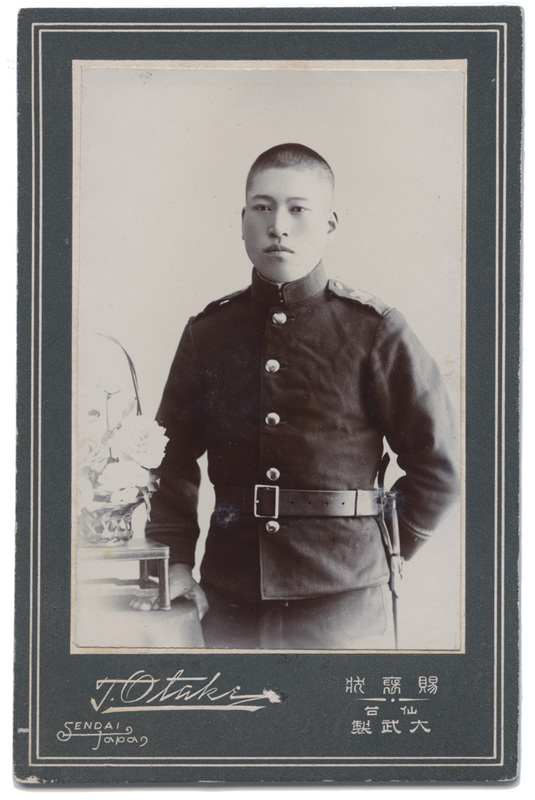 I would guess based on the rather healthy looking condition of the young man that this was taken before he first marched into the field, and probably early in the war. On a separate but not entirely unrelated note – if you observe carefully, you can see the foot of the posing stand peeking out from behind his legs. I’ve been seeing a lot of comments on Facebook lately about how some at best tragically uninformed and at worst scandalously unscrupulous people out there on Ebay and other online venues have been describing ANY photo of this period where the posing stand is visible as a post-mortem. I want to debunk this myth as strenuously and vigorously as possible. Posing stands were NOT meant to keep corpses in the upright position while they were being photographed. For that matter, most genuine post-mortems I’ve seen have shown the deceased in a prone position if an adult, sometimes sitting up or being held by a parent if a child, but even then children were not uncommonly posed in their coffins. 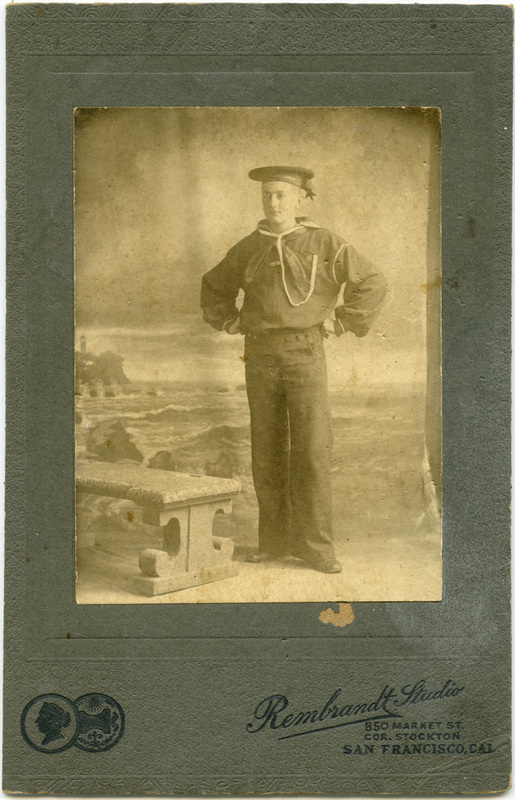 I would say that this young man is very definitely, obviously alive and well at the time of the taking of this photograph, wouldn’t you agree? 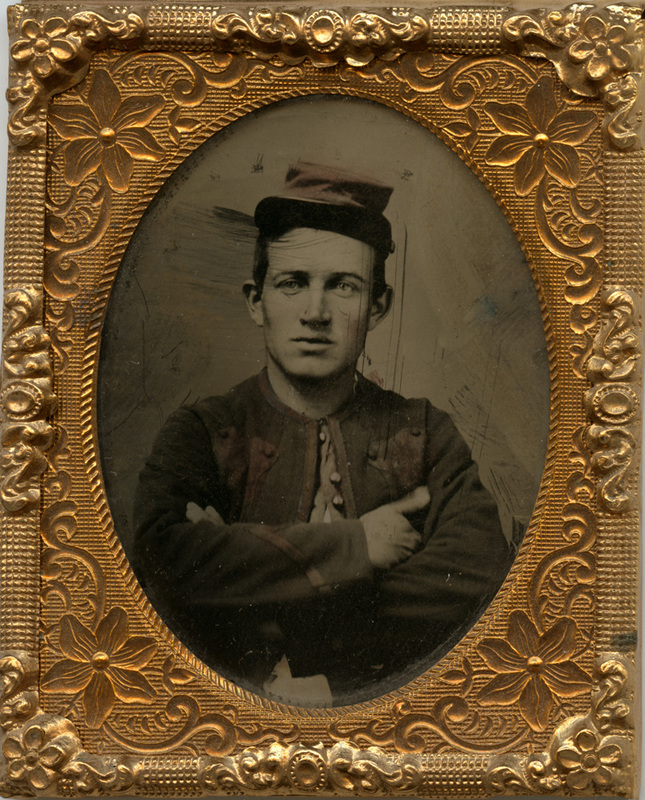 The latest acquisition in my collection – an unnamed Corporal in the US Army, photographed by Alexander Gardner. If you look carefully you can see the service stripe on his sleeve. 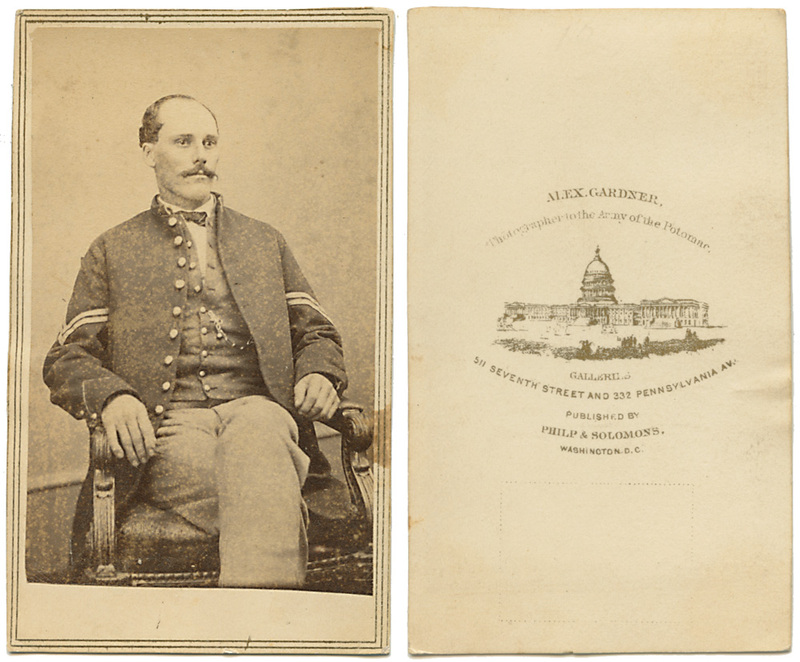 This designates three years of service, so in all likelihood this was taken in 1864, as Gardner was working for Mathew Brady until late 1862, and opened his own Washington DC studio in 1863. 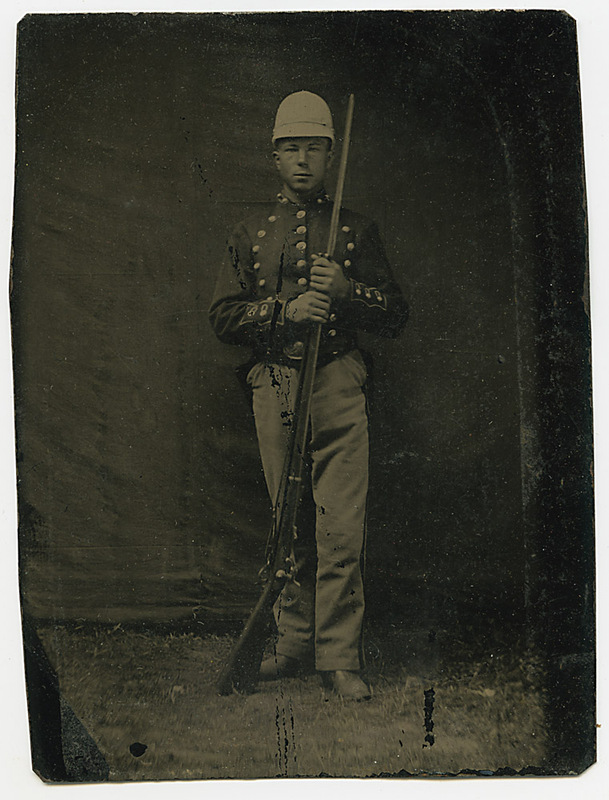 Soldiers with the three year service stripe would have been quite rare before 1864 due to the politics of enlistment in the first years of the war and the relatively small size of the army prior to 1861. 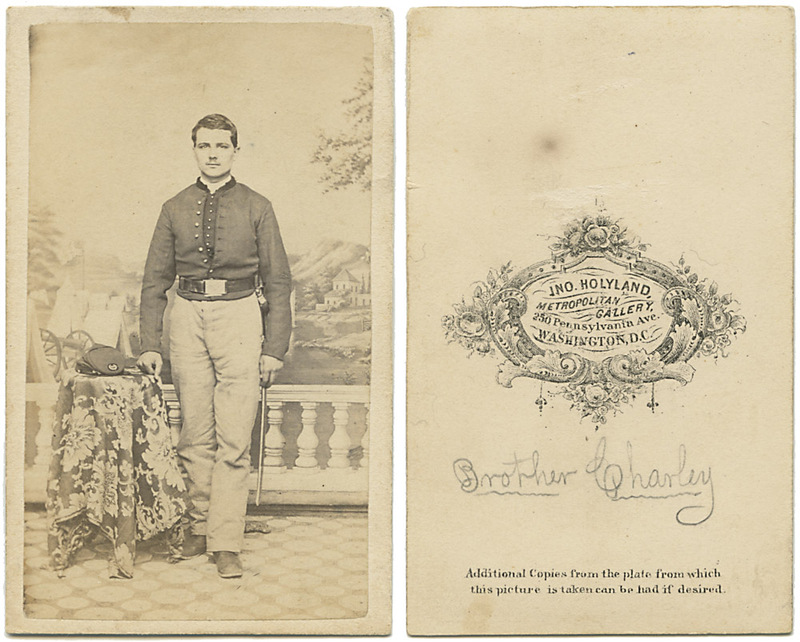 I’m not sure how long after the War ended he continued to use the “Photographer to the Army of the Potomac” logo, but it most likely ceased within a year or two after the war, as the civilian population quickly tired of reminders of the irrepressible bloody conflict. 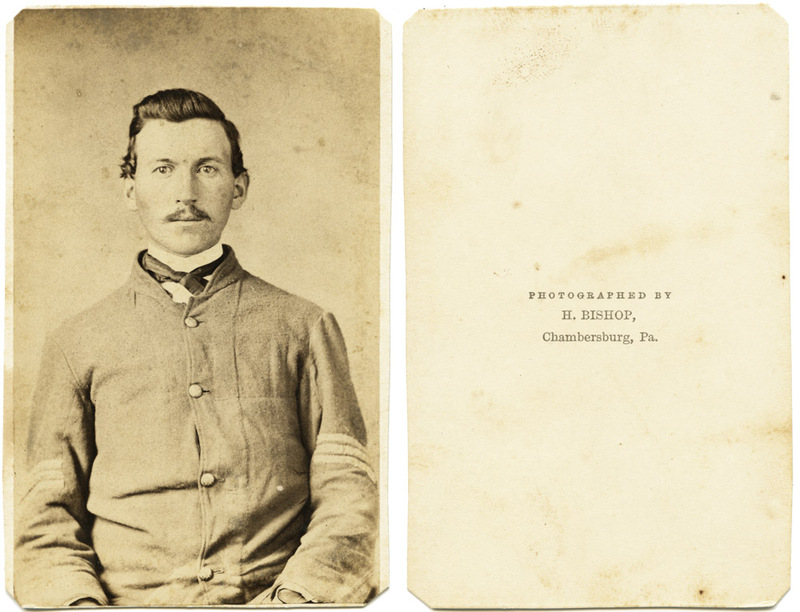 I just discovered one reason why Gardner studio imprint CDVs are so much less common than Brady studio imprint CDVs – Gardner ceased photographing in 1871 and opened an insurance firm, whereas Brady continued working as a photographer until his death three decades after the war. While I’m on the topic of military themed images, I thought I’d do a (for the most part) no-words review of the military images in my collection. 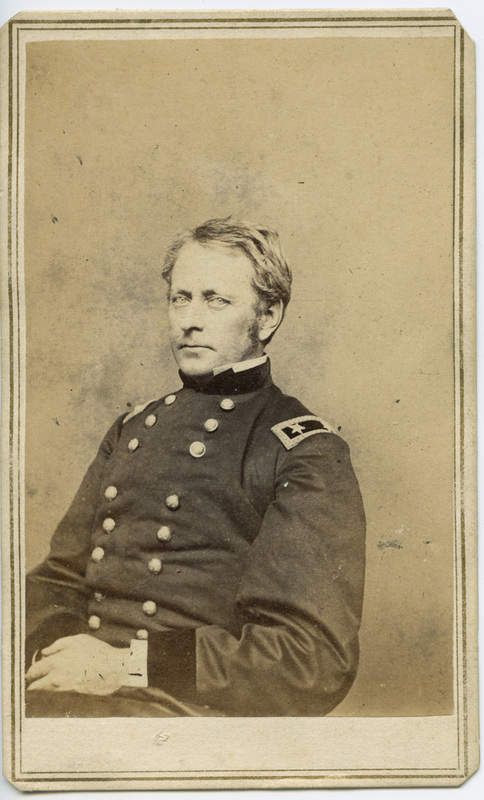 Horatio B. Buck, MD – 1st Lt. 11th Volunteers. My latest acquisition. This is probably in a three-way tie for the best piece (by my own accounting, not on a financial basis) in my cased images collection, and still in the top 5 if you include my CDVs. 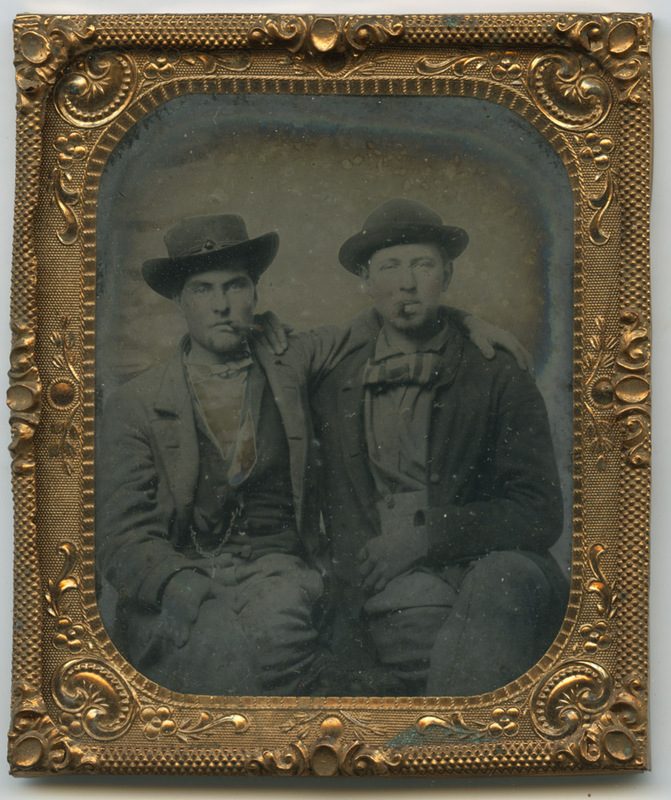 Quite the rarity, it depicts a pair of Confederate soldiers arm-in-arm, smoking cigars. The case is a sought-after Union case (the Union in Union Case has nothing to do with the Union vs. the Confederacy, but rather it was a term for the case style, coined in the mid-1850s) depicting crossed cannon. 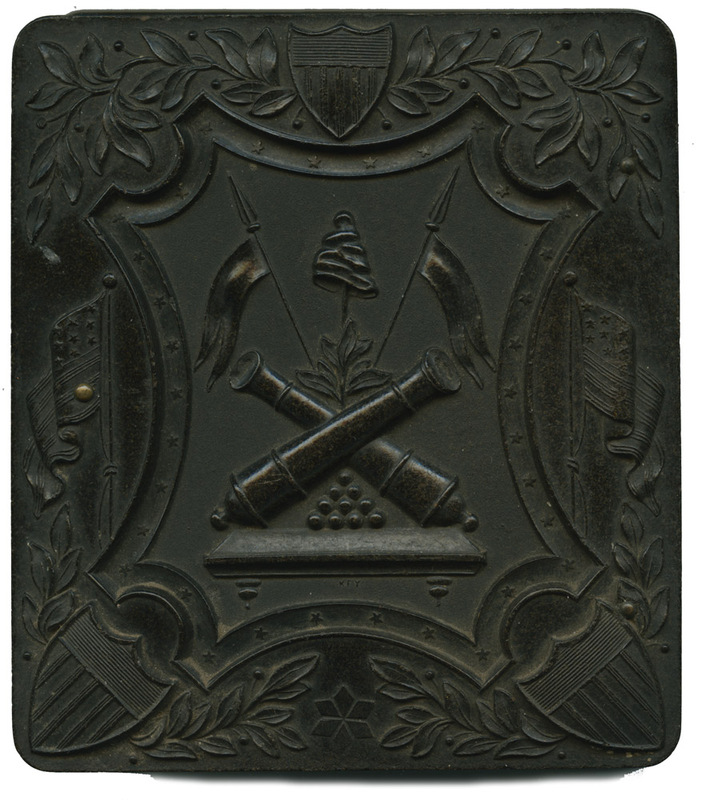 As the Civil War encroached, patriotic designs became increasingly popular, and I can see how and why a pair of Confederate soldiers would want such a case design for their image. And a scan of the bare plate without the mat. I have done some dust removal for the purpose of clarifying the image, and applied a little unsharp mask to the image to bring out detail that would be softened in the scanning process, but otherwise this is an accurate representation of the plate and its condition. 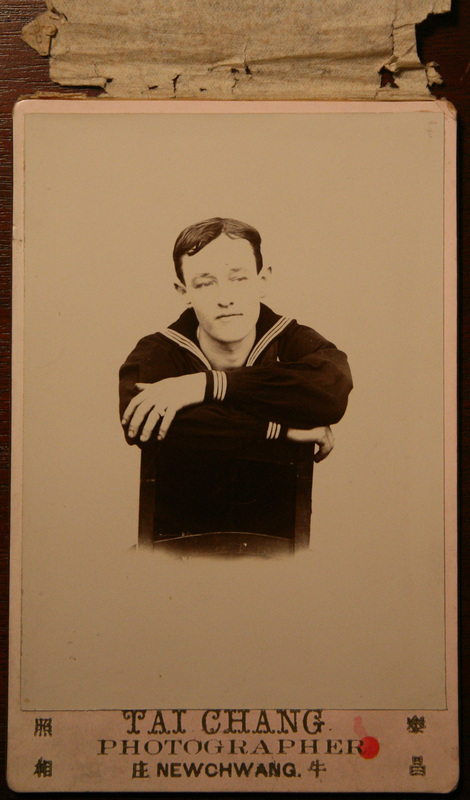 The image and the case have condition issues, but it’s an unique piece – where are you ever going to find another copy of this image? 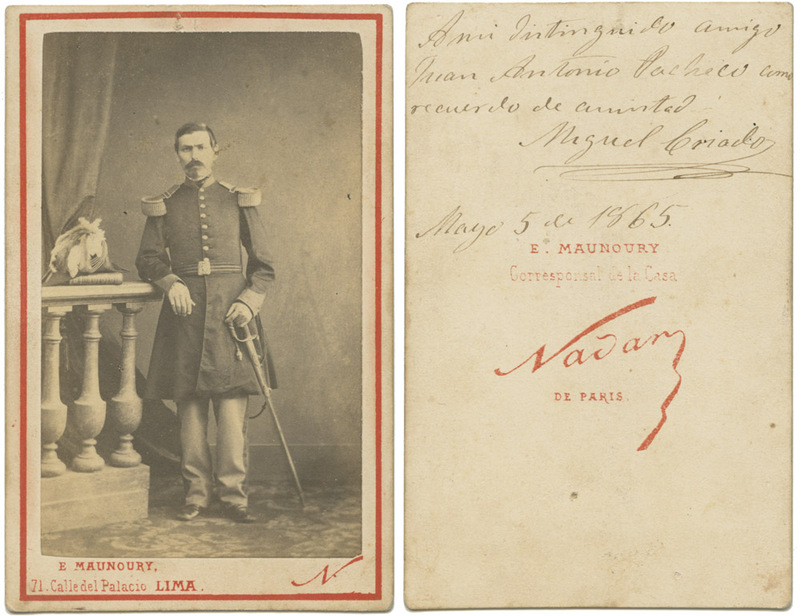 Despite the plate condition, you can clearly see the hand-coloring of the uniforms, the flesh-tones, and even the lit ends of the cigars have been tinted red! The case as a whole is generally in good shape, but the lid is missing the velvet pad. This isn’t such a horrible problem, as the velvet pad can always be replaced, but it would have been terrific if it had remained, as the pad might well have had identifying information about the photographer and his location. 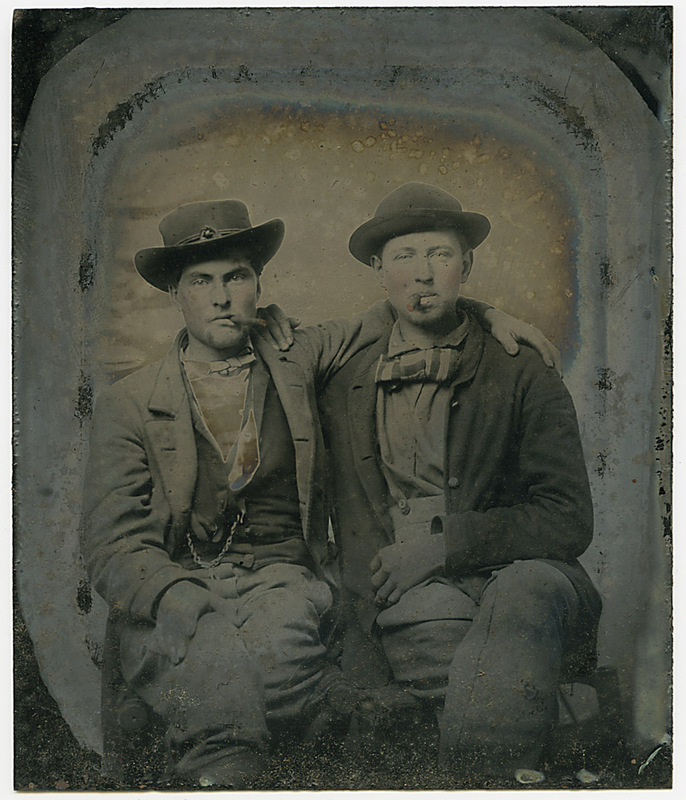 I know I’ve harped on the topic of Victorian-era images of affectionate men before, but I’ll do it again, especially since an image like this can be so fraught with meaning mis-applied by modern sensibilities. Here we have a pair of Confederate soldiers. They are arm-in-arm, casually smoking cigars. I read the gesture as being purely affectionate, bonding between two soldiers who may be not only deep friends but it also reads to me as reassurance in the face of potential mortality. This one lacks any suggestion of sexuality, but I love the way it humanizes two soldiers that it would be easy for us 150 years after the fact to pigeonhole for their support of a cause we today condemn. I’ve seen her name spelled Fritchie (there was a local chain of pancake houses in the Northern Maryland/Southern Pennsylvania area called Barbara Fritchie’s Waffle House. We had one on Main Street in Chambersburg, PA when I was growing up. I think it’s still there, and still has a 1930s/40s decor. I need to get up there and photograph it before they renovate and/or close it down and convert it into a Starbucks or something). 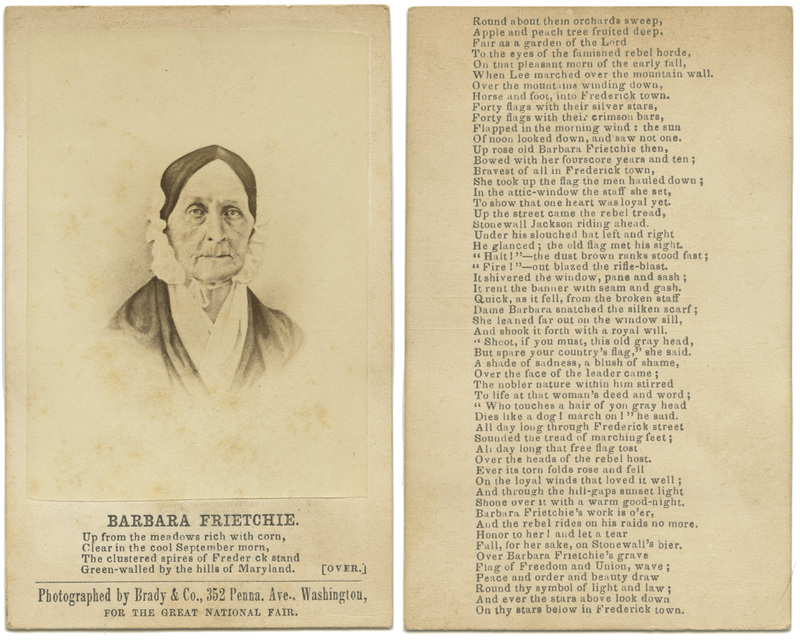 The story, as rather floridly recounted in the poem on the carte, is that she was a 90 year old widow, living in Frederick, Maryland. Stonewall Jackson’s troops were marching through Frederick and saw the Union flag flying above her house. They shot it down, but she retrieved it and continued to wave it out her window. Stonewall Jackson was so moved by her devoted patriotism (even if for the other side) that he ordered his men to leave it and her alone. There are variations on her story – I’ve seen her age listed anywhere between 90 and 95. The spelling of her name is inconsistent. The flag incident in the poem likely never occurred, however, as Barbara Fritchie was sick in bed that day. 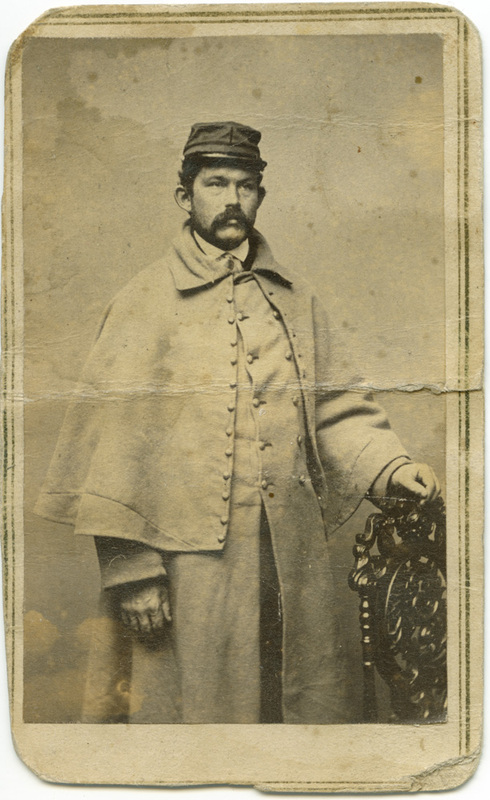 She told the housekeeper to hide all valuables to prevent looting, and to take in the U.S. flag that hung outside, but it was never moved, and as a result was shot up by the Confederate troops. Accounts differ as to how the legend that inspired the poem arose. The flag, a symbol of the need for myth in times of war, may be seen in the Barbara Fritchie House and Museum. History disproves the poem with the fact that the Confederate troops never passed by her house. Although they were within range of sight, they would only have been heard by Mrs. Fritchie if they had yelled to her at the top of their lungs. The troops marched south on Bentz Street and turned west on Patrick Street. To have passed Barbara Fritchie’s house, they would have needed to turn east and march a minimum of 1000 feet to have been at her door. The woman who inspired the poem, and who was brandishing the flag in front of the Confederate troops, was actually Mary Quantrell who lived on Patrick Street. 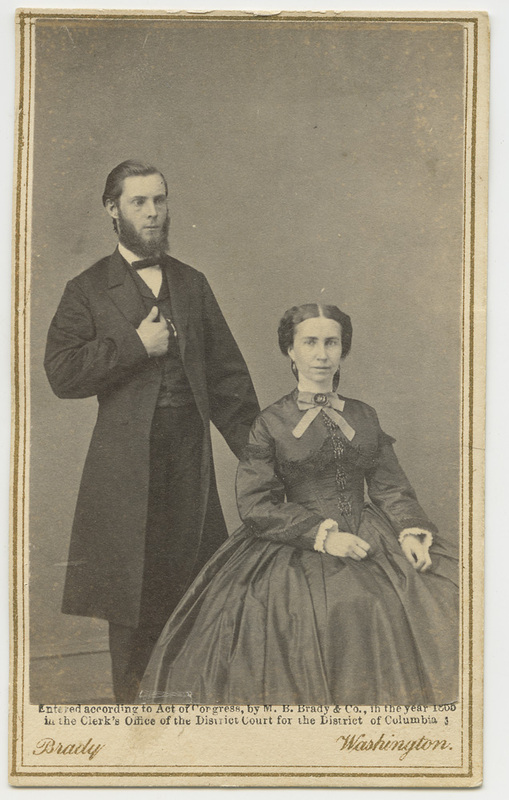 In 1899, John Greenleaf Whittier was quoted in a New York Times article based on a letter he wrote to the Frederick Examiner shortly before his death, vouching that he had no knowledge that the Barbara Fritchie incident was a hoax. …were civilian-organized bazaars and expositions dedicated to raising funds on behalf of the United States Sanitary Commission (USSC) and other charitable relief organizations. 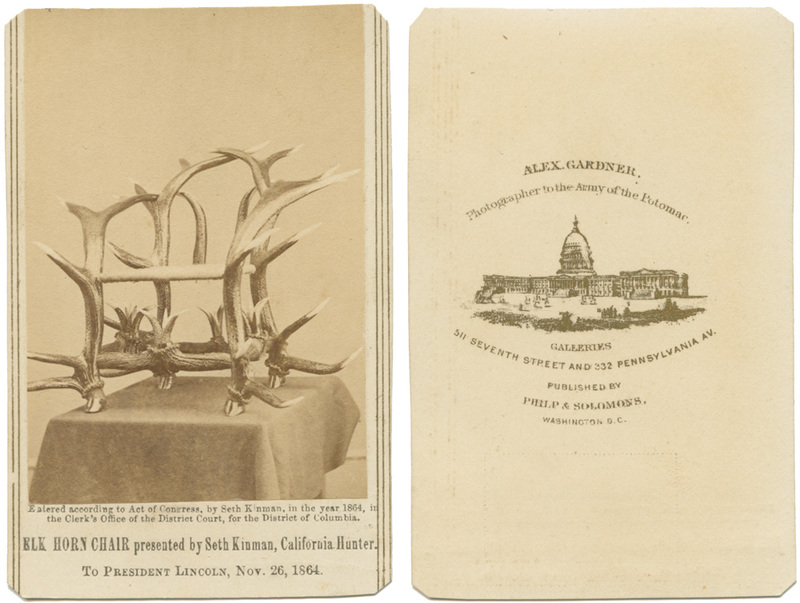 Over the course of the Civil War, they became one of the most popular means of fundraising for the Union cause. The name sounds somewhat misleading today in that it lends the aura of having something to do with bathing the participants. In fact, they were about protecting the health and welfare of soldiers in the field. the US Sanitary Commission was a relief organization, analagous to the Red Cross, that provided everything from bandages to nurses to food in the camps, and did what they could to enforce healthy living conditions for soldiers and the wounded in hospitals.